I have to be honest, when I started Notes from Ghost Town, I wasn't too sure about it. I was hovering on the will I/won't I finish it line - but then something caught me and I started reading at a rate of knots and I couldn't get enough of it. I think it was when I realised that things weren't quite as straightforward as they seemed and the mystery started to get deeper. Olivia is heartbroken after the death of her best friend Stern and she is struggling to cope with all the changes in her life. She was more or less a typical teenager and I found it fairly easy to relate to her, but two things bothered me though - why would she not tell anyone about her colour blindness and the way she just kept blowing off work? The first just seem silly, and the second completely irresponsible. To be honest, as I continued to read, the reasons for keeping her disability to herself came to make sense, but I still don't like the way she behaved over work - sorry, that may just be a motherly thing on my part though, but I don't think so. Austin is the new love interest here and I kinda sorta had a love/hate relationship with him. Evemtually though, his character really grew on me and my final decision is definitely positive where he is concerned. There is a lovely twist with his character that I should have seen coming but I didn't - 10 Things I Hate About You anyone? 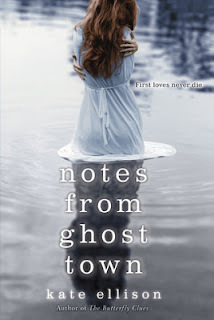 In the end, I was really glad that I stuck with Notes From Ghost Town. It was a mysterious, romantic, heartbreaking ghost story that kept me guessing almost until the very end. Give it a try, I don't think you'll be disappointed. 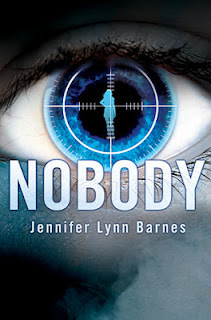 Don't forget that we ALSO have a giveaway going on for a copy of Jennifer Lynn Barne's Nobody &; Every Other Day. ENTER HERE NOW. 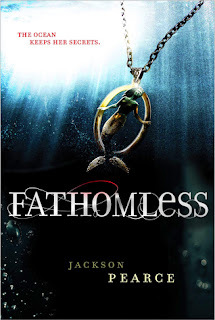 I didn't get a chance to read book #1 but now is a good time to jump into the series now that Book #2 is out and its predecessor received great reviews. Don't forget that we have a giveaway going on for a copy of Jennifer Lynn Barne's Nobody & Every Other Day. ENTER HERE NOW. Christinabean here. 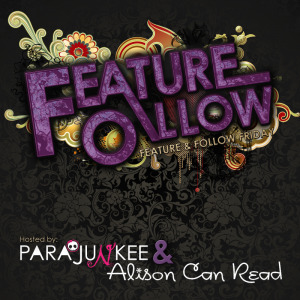 It has been a long time since I contributed to Musings as Curlypow seems to read more craft books nowadays than I do but I wanted to share a special magazine that I love to treat myself to every now and then. 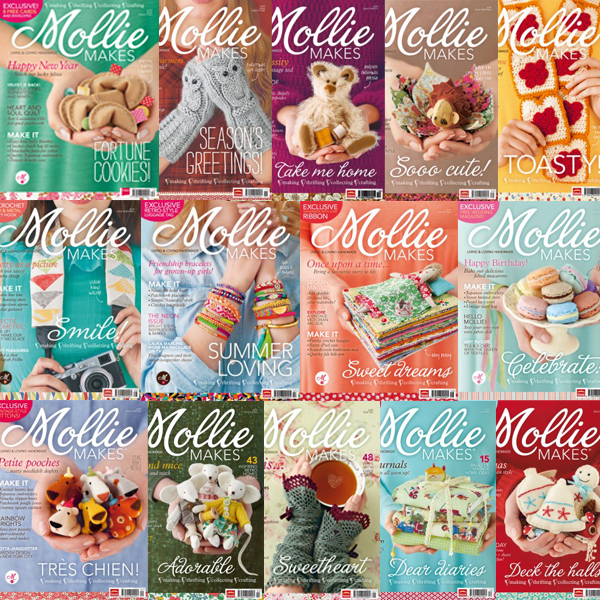 Mollie Makes is a UK mag all about arts and crafts. 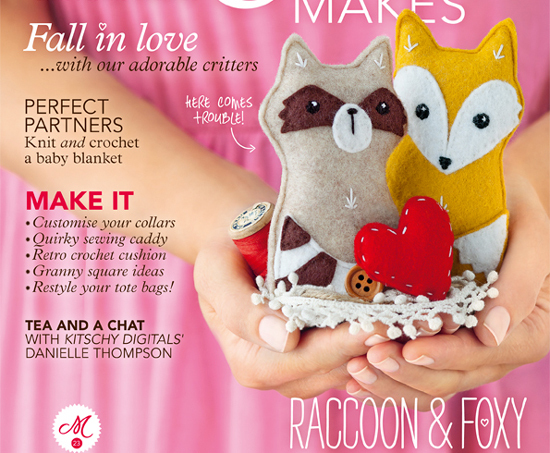 They have excellent articles on makers from all different genres. Often these articles are accompanied by photos of an artist's workshop or home. I LOVE to see how people collect and organize their materials. It fascinates me how some can collect so much stuff/materials/fabric/vintage supplies for our projects and organize it in a neat, user-friendly fashion. I need to learn how to do that! As a UK import, we always seem to be one issue behind what is current. Usually they come with a small project with materials included or some interesting freebie attached to the front cover. This month they've included a Travelcard wallet (translation for us North Americans, a credit card holder). The kit includes fabric, ribbon and plastic along with instructions. Cool eh? On occasion I will visit their website to see what the upcoming mag has to offer and check out any other free tutorials they have posted. The issue I picked up last week has a cute article on how to make this adorable pair of felties. When I'm feeling a little blue and antsy, I find thumbing through this magazine inspiring. It helps me get my craft on again and reminds me that even if I only have an hour to make something, I can still complete a small yet satisfying project. Another thing to note is that Mollie Makes is available online. That includes current issues as well as back issues. I've found that they are almost 1/2 of the price of the print copy and you can download the patterns. Of course, you also miss out on the covermount items (projects) normally attached to the printed version. If you are interested in Making, Thrifting, Collecting and/or Crafting, you'll appreciate this magazine...and perhaps even look into buying the older issues online, like I have! The Paperback Princesses are proud to be part of the blog tour for Dusty Crabtree's new book Shadow Eyes. We asked Dusty why she chooses to write for the Young Adult audience. Thank you for hosting me on your Shout Out Sunday, ladies! I’m not exactly an “Indie” author, but I do come from a smaller press – Musa Publishing, so I appreciate what you do for us authors! So about the question – Why young adult urban fantasy? Let’s start with, “Why urban fantasy?” I’ve actually loved these types of books ever since I read Twilight. Yes, I said it…I’m a Twilight fan. Although I have since fallen in love with several other series that I think are better written (Hush Hush and Fallen are two of my favorites), I still owe my love of YA urban fantasy to Twilight. There is something unique and intriguing about the idea of having a fairly normal life (unlike in straight fantasy, such as Harry Potter) but with paranormal people, elements, and events. I think that because everything else in the main character’s world is basically normal, it’s easy to identify with her or him. The result is getting to vicariously experience all of the crazy, fantastical things the main character experiences, and I love that! So why young adult? I’m almost thirty now (shhh, don’t tell anyone), so I know I could very easily write adult urban fantasy. There is definitely a market for that as well. But I think I’ll stick with the teen audience, and there are several reasons why. For one thing, I have a feeling my writing would be too, um…how do I say this?...tame and pure to be considered adult urban fantasy. 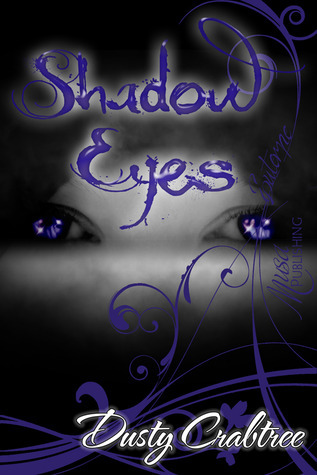  I mean, don’t get me wrong, by no means is Shadow Eyes completely PG and I wouldn’t feel comfortable giving it to someone under 13, but the overall feel of it is, well…more pure. You’ll have to read it to know what I mean. For another thing, I’m a high school teacher and youth sponsor at my church, so I feel like I know teens well enough to be able to relate to them. Plus, I get enough exposure to teens to gather inspiration and to, I hope, make my writing and dialogue authentic. Lastly, since I do teach high school and have committed to being a youth sponsor, you can probably surmise that I have a passion for teens. I truly want to touch their lives, whether it’s helping them get through difficult times, giving them hope when they feel there is none, or simply giving them an enjoyable, inspiring book to read. 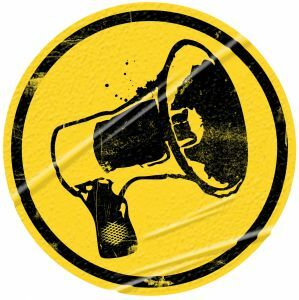 Whatever the case, I am so grateful for the opportunity I have to write for teens and, in a way, play a small part in their still impressionable lives. Thanks Dusty for joining us today. This book just blew me away. I LOVED it in every way. 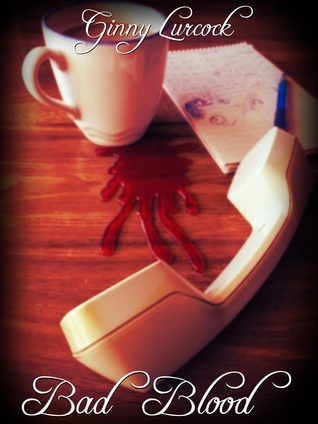 It is a mysterious thriller with a thrilling mystery that starts with a bang and does not let go. I honestly can't think of anything I didn't enjoy about this book. Nix and Claire are just so absolutely perfect for each other in every way, it is not so much a romance, more an inevitable collision of forces. I found myself wondering how lonely it must be to go through life totally unnoticed. I felt so sad for both of them, that it was almost a relief that they find each other. And the great play on words with Nix's name - he is a nothing, a nobody, a zero, and to nix something is to remove it from existence, to veto it - very cleverly done. Nobody is hard to describe. It is not quite a paranormal, not quite a mystery, not quite a thriller, but it is one of the most engrossing books I've read in a while. There is a breathlessness to the narrative that just kept me reading without a break - so much so I was almost late for work! As I was reading I was reminded in a very small way of the movie 'Wanted'. Not so much because of the characters, but more because of the secret society that trains assassins. It's not a strong resemblance, but it was there, for me anyway. What more can I tell you? 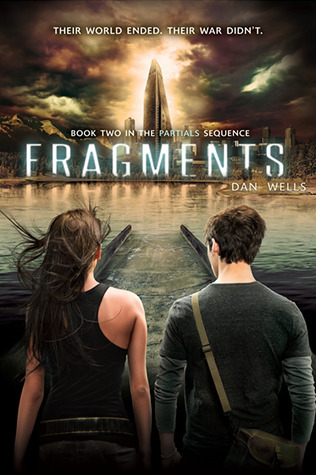 Great, believable characters with heart, intriguing situations and a fantastic new world. Buy it, read it, love it. 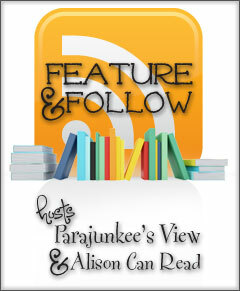 As part of the blog tour, we are lucky enough to be able to offer a fantastic giveaway. You will be entering for one hardcover copy of Nobody and the new paperback release of Every Other Day, which pubs on the same day as Nobody (January 22nd). Good luck. Just in case you're interested, here are a few links for you to check out. Curlypow here. Just thought I'd add my 2C worth - for me, I kind of give books away every day when I recommend a title at work. Working in a library is wonderful that way and I am always happy when I see customers come back with a smile asking for something else by that same author. One of my favourites lately has been a 12 year old boy who is reluctant to read and because of my 'gentle suggestion' is now on no 8 of the Rangers Apprentice series by John Flanagan. How cool is that? And to make it even better he has convinced his Dad to read the series too. I love my job. Anyway, with that out of the way, I can tell you that Mind Games was incredibly clever, fast-paced and intriguing. There is an amazing display of sibling loyalty between Fia and Annie. Both are constantly manipulated and used against each other, but they stay true in their own ways. The strange myterious 'bad' guy - Mr Keane - makes you extremely unsure of just exactly whose side James is on. Is he good, or bad? At the end of the book I still wasn't sure. I did find myself getting a bit annoyed with the constant repetition of words, but I fully understand that they are used to highlight the confusion and instability of Fia's mind, and as such it was very successful. I'm sure that it won't bother younger readers nearly as much as it did me. 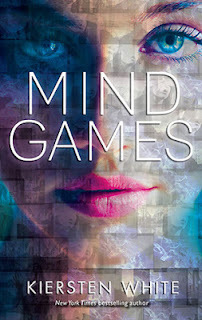 For those of you who read and loved the Paranormalcy series, Mind Games is absolutely nothing like it at all. It's faster paced, edgier, grittier and altogether more disturbing. I loved it! 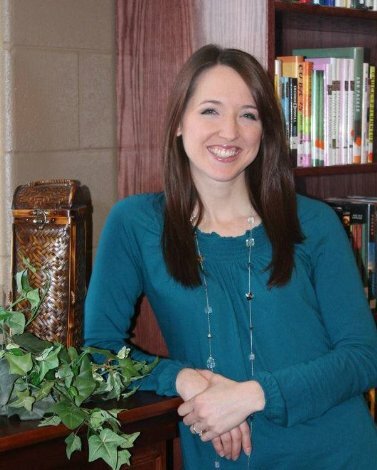 Kiersten White is stepping away from the paranormal and stepping into a different genre. I've heard great things from the bloggers who received ARCs. Can't wait to dig into this one! 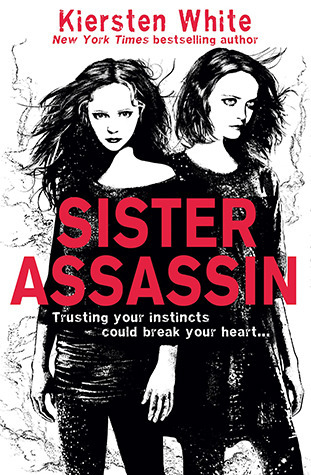 OK, I have to confess I haven't read this one yet, but I'm thinking that if it's anywhere near as good as Sweetly and Sisters Red, it should be worth my while. Any thoughts on this one. Has anyone else noticed that there seems to be a bit of a hole in the fairytale market, or is it just me? I got a book this week from Penguin Canada, but I have to be honest, I have absolutely no idea why I got it. There was nothing in with the book to give me any indication who it was from or why. Maybe I entered a giveaway and I've forgotten about it. Anyway, thank you, whoever sent it. I love Jack Whyte's books. I also received this one from Brenna at Esther's Ever After when I won a giveaway there. Thanks Brenna. There are some books that you just have to write a review of immediately. They are sooooo good, that you don't want to forget any of the amazing comments that are running through your head. Every Never After is one of those books for me. Regular readers may remember that I am such a dorky fan-girl where Lesley Livingston is concerned. (This is extremely embarassing for me when you consider my age!) Her writing style clicks with me in every way, and this follow-up to Once Every Never was no exception. I LOVED it - every minute of it. 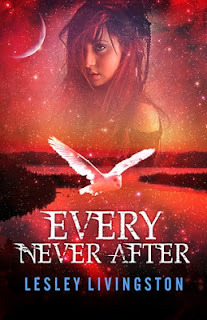 Every Never After takes us back into the lives of Clare, Allie and Milo and quickly throws them, and us, back into the convoluted workings of a time paradox circle. This time it's Allie who gets catapulted backwards into the past and Clare and Milo are left behind to try to bring her back. Time shenanigans ensue and the hoops that Clare has to jump through to bring her back will have you almost in tears - most of them involving laughter I might add. Speaking of laughter, I have to add in a couple of quotes, with the caveat that these are from the e-arc and may not make it into the finished book. However if they don't, I will be extremely sorry.
' .... She thought of the one and only time she'd seen male buttocks that hadn't belonged to a toddler - when her brothers had thrown her into the guys' locker room at school after football practice for a joke - but, really? No comparison. None. Somehow her fingers slipped and she accidentally snuck another peek.
' "Nice to meet you. You're a terrible liar." "Nice to meet you, too. Your cousin's a total babe." Milo eyed Marcus's Roman tunic and leathers. "Wicked party dress." The characters are so very real and I just love them all - even nasty Stuart Morholt, who remains the villain of the piece, right up to the very end. And what an ending. Had I actually been holding a physical book and not my Ipad, I would probably have thrown it at the wall. So .... How could she do this to me? Another year to wait until I find out what happens! Every Never After is an amazing and thrilling blend of mystery, humour, time travel and romance that captures the imagination and lets it soar. I hope you enjoy reading it as much as I did. Ms Livingston's love for this era shines through in her writing, and makes it so enjoyable to read. I couldn't find a video for Every Never After but this one for Once Every Never shows Ms Livingston talking about her love of Celtic history. This second book in the Dust Lands series has been sitting on my shelf since its release date when I ran out to Chapters and went a little spending crazy (a lot of awesome books came out last fall!). 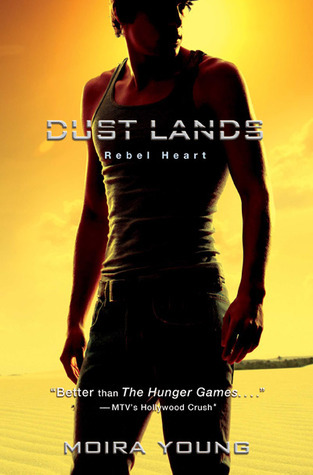 My New Year’s resolution to actually read the books I’ve purchased is still fresh in my mind, and Rebel Heart was high priority for me. I loved Blood Red Road – yes, even though Saba’s ‘voice’ can be a bit of a reading challenge. So I was dying to get back into the series. And I was slow to get back into it. It wasn’t Saba’s voice – that took me only a dozen pages or so to get used to again (and I actually caught myself sending text messages with “yerself” and “fer” in them...so horrible!). This doesn’t have a bad case of second book syndrome, there is quite a bit going on. The problem is Saba and the plot holes. We left Saba she was a warrior, sad but still tough. Now, she’s this whining, self-centred ruin of a human. Towards the end of the book, I was actually sick of her. I loved the plot twists with DeMalo, but Saba fell way outside her character range once that kicked in – I no longer believed her actions and decisions were plausible. 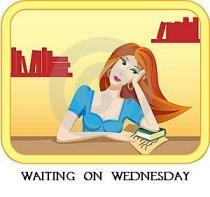 And that crushes me when it happens with a character, especially when the writer seems to be as talented as Ms. Young. Then there’s the gaping plot hole – I won’t spill the beans, since it would be a bit of a spoiler. But something that seems like it will be a huge deal just disappears. Nothing comes of it. I mean, come on! Luckily, the story was saved in the last paragraph. That’s right. One paragraph saved it for me, and got me excited again for the third book. Tommo has stuck with Saba and crew through the book, and our last paragraph is actually a glimpse of the final setting as he sees it. And wow. Talk about powerful! It’s not even a long paragraph, but it has set up book number three for a whole bunch of excitement. Last but not least, I can’t review this book without once again ragging on publishers for cover changes mid-series. Especially to something weird and metallic. Now I own two books of a series, which don’t even come close to matching – and I liked the first book’s look! I do like the male silhouette here though – with all of Saba’s whining and self-centeredness, all of which surrounds the three main men (Lugh, Jack and Tommo), that silhouette could really be any of them. After the last paragraph, by bet is on Tommo...now if only it wasn’t so shiny! Thanks once again to Special K for this great review. I never did get around to reading this series. Ok, I know variety is the spice of life, and you certainly have an over abundance of variety in your many, many, many honey buns, but please, for pity's sake, CHOSE ONE and stick with him. I'm getting dizzy just trying to keep up with them all, and let's face it - it's time you settled down. You're not getting any younger! 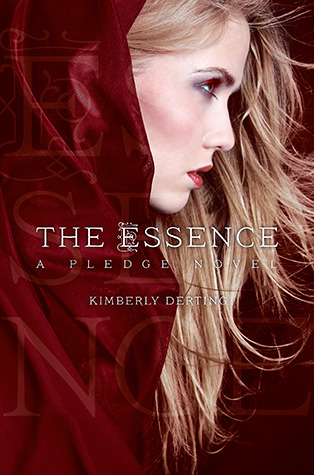 The Pledge was such a fascinating novel and I was counting down the days for the Essence to be released. 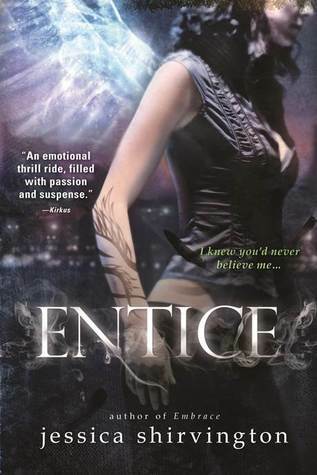 Despite my griping on the main character's flaws, The Pledge series is still a favorite. Kimberly Derting ranks as one of my favourite authors. Both her series - The Body Finder and The Pledge would be in my top 10 and she definitely doesn't get enough credit for her work. By the end of the Essence, I couldn't wait to learn more aobut the neighboring Queens and their territories. Even though Sabara was brutally evil in book 1, we see a different side of her in The Essence when love comes into play. She has a sense of vulnerability and, as a reader, I'm not sure whether to trust it. If you are a fan of the Vampire Academy series, this spinoff will help you meet your Richelle Mead fix. When I first read Vampire Academy, I couldn't put it down. 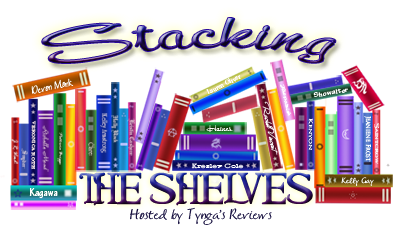 I read them sequentially over a couple weeks and felt like an addict for Mead's books. Good thing she came out with Bloodlines. :) Don't start with this one. Try Bloodlines (Book #1) first. The Vindico are a group of supervillains who have been fighting the League of Heroes for as long as anyone can remember. Realizing they’re not as young as they used to be, they devise a plan to kidnap a group of teenagers to take over for them when they retire—after all, how hard can it be to teach a bunch of angsty teens to be evil? 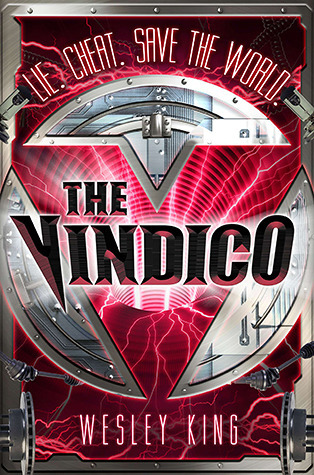 The Vindico is an irreverant look at an alternate universe where superheroes are real and the villains are recruiting to enlarge their ranks. Of course in typical antihero fashion, the villains decide to kidnap the proteges and that's when the fun starts. James, Emily, Lana, Sam and Hayden are actually having fun while learning the ins and outs of the evil villain trade and I found their voices to be both real and amusing. Let's face it - how many teenagers would pass up the opportunity to gain super strength, or mind powers if given the chance. I wouldn't have. What I found refreshing about The Vindico is that it is written from the bad guys' perspective. We get a glimpse into the minds of the villains and we see how they become twisted and yet convinced that they are in the right. 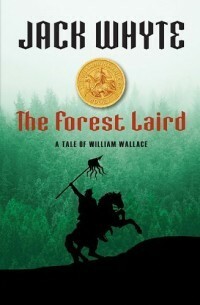 Mr King has written a book that can easily be read and enjoyed by both younger and older teens. It reads a little bit like a movie plot and I can easily see this on screen - in the same vein as Sky High (remember that one? ), or perhaps Zoom. It looks like there is a follow-up to come in July next year called The Feros and I look forward to reading it. On a side note, Mr King is practically a neighbour of mine, he's from the next town over - way to go Wesley! I love it when local authors get published. Bad Blood struck me as a very tongue-in-cheek homage to Twilight and I loved every minute of it. Tori is basically a very sensible, hard working teenager who is totally in control - that is unless Issac is anywhere in the vicinity. There are definite shades of Edward here, with the slightly old-fashioned manners. It hints that there is something a little strange about him, but nothing concrete. 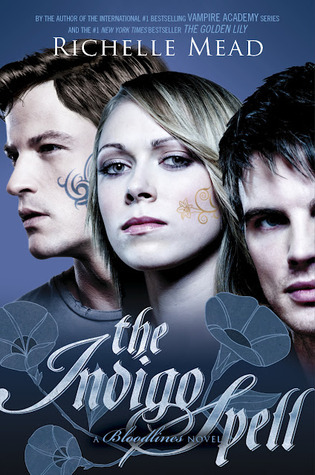 I did find it a little strange that Tori was willing to forgive Quinn for being a vampire, but was unable, or unwilling to forgive Issac - oops, sorry if that's a spoiler - but I did enjoy the fact that Issac didn't suddenly become this alluring person that she couldn't live without. Following on the Twilight theme there is also another love interest - Drew. Now him, I loved. This type of humour runs through the entire story and I was laughing out loud in places. I just adoredthe witty dialogue. There are a couple of places where the action becomes, if not x-rated, certainly a little more than younger teens should handle, but oh my, it was fun. I you get the chance to try Bad Blood, go for it. It's so much fun to read. I can't wait to see where the second one takes us. I am so bad at these, that it causes me physical pain. No wait, that was a splinter… Never mind. Ginny Lurcock lives in New Hampshire with her husband whom she adores, her daughter, whom she also adores, and their cat. Who she likes alright. Oh, and her father, his two cats, her sister and her sister’s boyfriend. When not writing she enjoys playing games (of the board and video variety) or reading to the point of obsession (she’s not an addict, she can quit whenever she wants), watching intelligent television, mindless television, sports, movies and listening to music. Basically, she likes all the things. And somehow she still manages to find the time to be bored. She also breaks the seal.